After clinching its third consecutive Pac-12 Championship over the weekend, the No. 1 Oregon Ducks softball team (46-6) under New Zealand legend, coach Mike White, will continue its “spring reign” as the No. 2 overall seed in the NCAA Tournament. The Ducks will face BYU on Thursday, after a Fresno State vs North Dakota State matchup, in a four-team double-elimination Eugene Regional at Howe Field. This year’s regional appearance marks Oregon’s sixth appearance in as many years with former ISF World Champion pitcher. 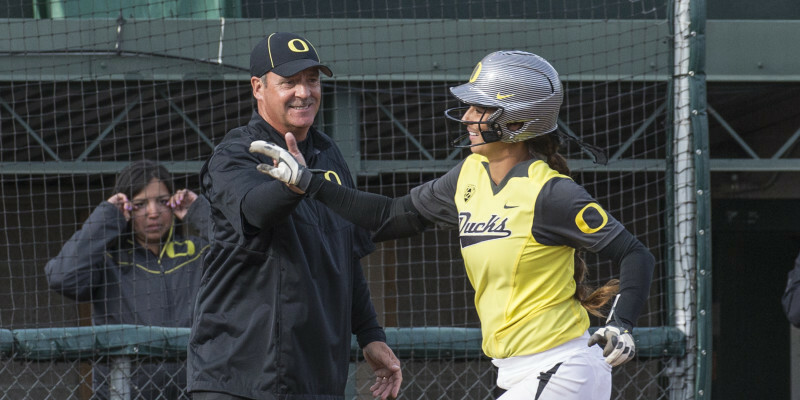 And it isn’t just a coincidence that the two-time Pac-12 Coach of the Year has these talented Oregon women primed and ready for college softball’s biggest stage. White is a product of New Zealand’s rich softball history, which dates back to the 1930s, reaching a fever pitch during World War II – after American servicemen stationed in the country frequently played baseball and softball against local athletes. In 1944, New Zealand adopted the official New Zealand Softball Association (NZSA), which has grown steadily ever since. White has helped Oregon ace Cheridan Hawkins grow into an elite NCAA pitcher. Over the decades, this “other country down under” has produced some of the world’s finest fastpitch softball players, and White is still among the best of them. White pitched for the New Zealand men’s softball national team, the Black Sox, under legendary head coach Mike Walsh. Between 1984 and 1996, White and the Black Sox made four consecutive world championship appearances, bringing home two gold medals and two silver medals. In 1996, White was enshrined in the history books as one the greatest pitchers in New Zealand fastpitch history after pitching a perfect game in a 4-0 shutout gold medal game victory over Canada. The Kiwi coach has brought his love of the game and world championship-caliber softball IQ to Eugene. He has installed an aggressive brand of softball, combining potent offensive firepower with suffocating pitching, putting Oregon in contention for the nation’s highest collegiate prize: the Women’s College World Series. 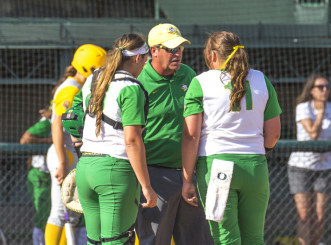 If White’s personal accomplishments are any indication of what these Ducks are capable of achieving, it should be an exciting postseason and another chance to watch the nation’s best softball team begin its own journey for fastpitch glory on its home field. The Eugene Regional Schedule – Thursday, May 14th: North Dakota State vs Fresno State at 2 pm and then Oregon vs BYU at 5 pm.